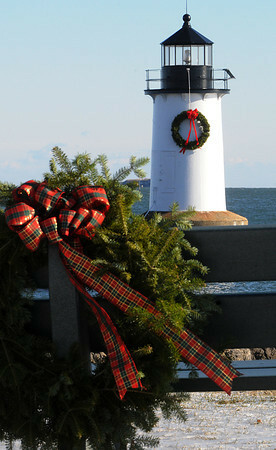 Ken Yuszkus/Staff photo: Salem: The Winter Island lighthouse now has a wreath. There are also wreaths placed on the park benches. One of which is in the foreground.